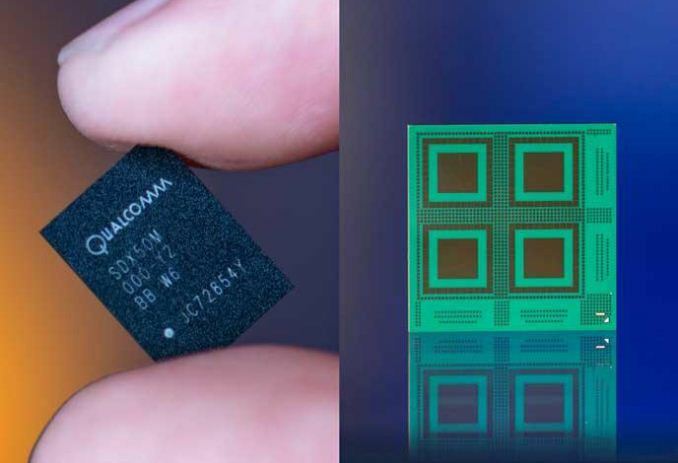 News - Qualcomm Affirms Dozens of Carrier & Manufacturer Partnerships For 5G Trials & 2019 Product Launches | Softoolstore - Самые интересные новости, обзоры технологий и софта. Hitting the wire today are a pair of announcements from Qualcomm, who is affirming the dozens of partnerships the company has inked both with carriers and handset manufacturers regarding the use of the Snapdragon X50 5G modem. Some 18 carriers will be including Qualcomm’s X50-based 5G smartphone reference design in their live trials later this year, and the list is basically a who’s who of carriers. This includes AT&T, Verizon, China Telecom, Orange, and SK Telecom. Notably, all 18 carriers will be testing both the sub-6GHz and all-important millimeter wave frequency bands as part of their trials. Meanwhile on the handset side of matters, 19 OEMs have now signed on to build and release handsets based around the X50 modem in 2019. As you might expect given Qualcomm’s projected lead, this list of 19 OEMs amounts to just about everyone in the industry, from HTC to OPPO to Xiaomi. In fact it’s probably easier to talk about who isn’t on the list, which are the Big 3: Apple, Samsung, and Huawei. Which as all three design their own SoCs – and in Apple’s case, is also currently involved in litigation with Qualcomm – is essentially all the vendors Qualcomm could hope to sign in advance and get to agree to such an announcement.